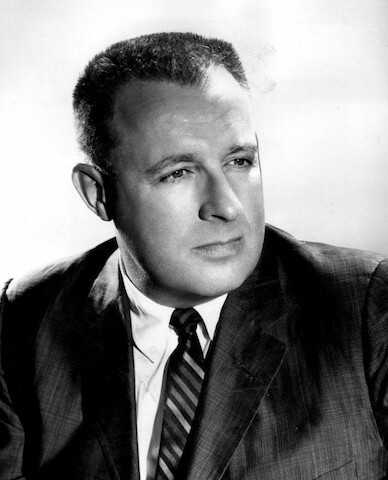 Ray Bradbury in 1959. Public domain image courtesy of Wikimedia Commons. Can you imagine a life without books? Me neither. Ray Bradbury’s Fahrenheit 451 is a dystopian novel, set in a society where “firemen” burn any book they find. The title comes from the temperature at which books burn. The main character is a fireman called Guy Montag (played by Michael B. Jordan of “Black Panther”), who starts to question the purpose of the work he does after certain incidents happen in his life. According to some interviews Bradbury gave, the book was originally about the hazards of censorship, then it progressed to the danger of having an illiterate society who didn’t bother to read. And as another treat — one of my favorite childhood books is coming to the screen as well. It’s John Bellairs’ A House with a Clock in Its Walls. This book features an underdog character, Lewis Barnavelt, an orphan who goes to live with his uncle in a town called New Zebedee, Michigan. But all in this house is not as it seems…….. I blogged about this book in 2013, with the express wish that someone would make it into a two-hour movie for the big screen. And someone has — thank you, Universal Pictures! It’s due out in September (which seems to me a little strange — it would make the perfect spooky kids’ Halloween movie). The movie features Jack Black as Uncle Jonathan, Cate Blanchett as purple-loving family friend Mrs. Zimmerman and Owen Vaccaro as Lewis. Save the date — this movie is looking good! I loved “A House With a Clock in its Walls” as a child (the author wrote some other great books, too, and that book always reminds me for some reason of Joan Aiken’s novels for children). And Fahrenheit 451 made a huge impression on me as a tween. I’m looking forward to reading Fahrenheit 451 when I get it. It sounds like a thought-provoking book. We are so ready for the F451 movie in AP. Trying to figure out how to get a copy. I am hoping one of my enterprising students will figure out a way for us to watch it since we just finished the book. Maybe there will be a way to stream it? Hulu or something similar? I am hoping one of my tech ninja students will figure it out. I am always amazed at the shortcuts they know. Our generation invented the World Wide Web but the Millennial gen knows how to spin it. I most sincerely hope they do a better job on Farenheit 451 this time than last time. It wasn’t bad last time as just underwhelming. I guess we’ll see. I definitely want to read the book first and see how the movie compares to it. Oh my goodness. These both look so good!